The Psalms express the heart and essence of humanity, covering a wide range of emotions, and the lessons derived from them have had a far-reaching effect through the ages. They are a unique portion of the Old Testament - 150 songs and poems that include hymns of praise, thanksgiving, lament, wisdom, and liturgy. Written over a long period of time by multiple authors, the Psalms illustrate the theology and worship of the Israelites over the centuries. This reading of The Book of Psalms uses the King James Version of the Bible, a translation whose language is praised as some of the greatest poetry ever written. 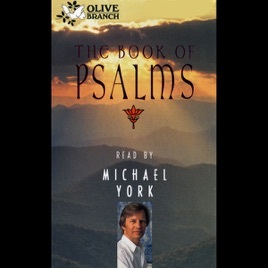 Michael York brings out the eloquence of this language in his beautiful narration.